Grow Rotary! Grow Engagement! Grow Impact! For those that were unable to attend one of the 5 area wide meetings, here is the live stream video of the meeting in Cisco. 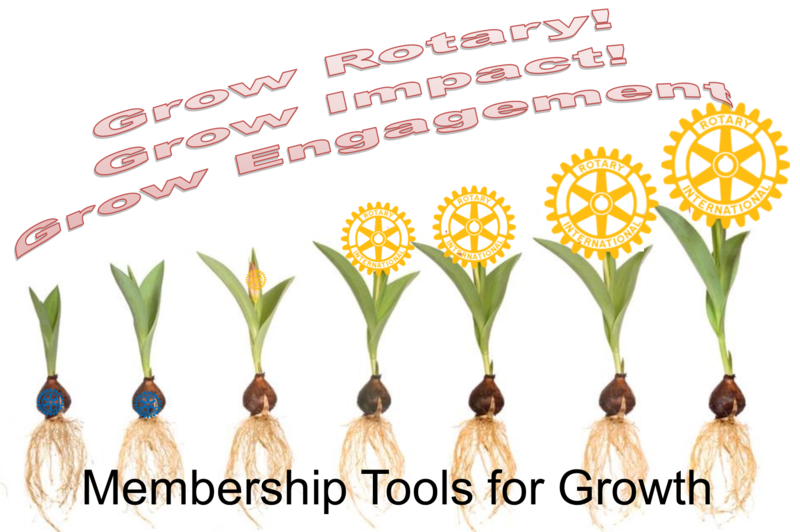 For a copy of the slide presentations for the Grow Rotary! Grow Engagement! Grow Impact meetings, click here. Anyone that has ever grown a garden or worked on a farm knows that growing plants is hard work. You need to plan your garden, purchase the seeds and seedlings, get the gardening tools, till the soil, plant, apply fertilizer, irrigate and cultivate the soil and gently care for the plants as they grow and blossom or produce fruit. Those same principals apply when Growing Rotary. Implement ideas in the new Rotary "Flexible Meetings and Attendance Start Guide"
For the link to the Rotary Learning Center Membership Module, click on the photo image above.